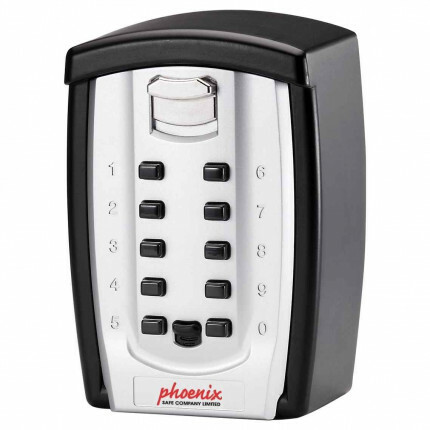 The Phoenix KS0003C is an outdoor key safe that can be used to store padlock keys, door keys and car keys, in a secure location of your choosing. 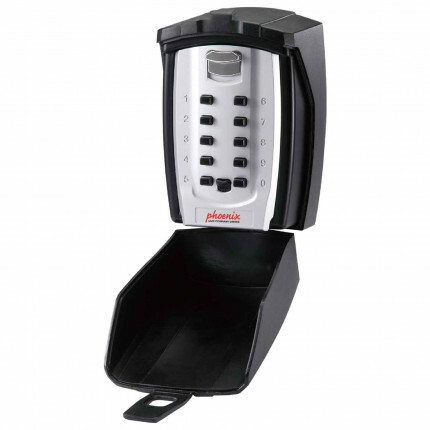 This key safe can be wall mounted and comes with a weatherproof cover. The digital mechanical lock doesn't use batteries is ideal to store a spare key for use by carers and district nurses to visit the elderly or infirm. 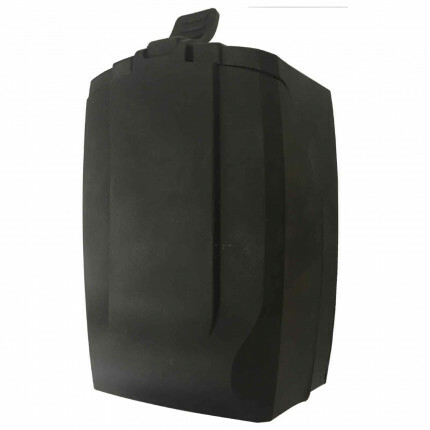 The Phoenix KS0003C is an outdoor key safe that can be used to store padlock keys, door keys and car keys, in a secure location of your choosing. Ideal for Emergency Access, storing a small number of keys to gain access by an authorised personnel. 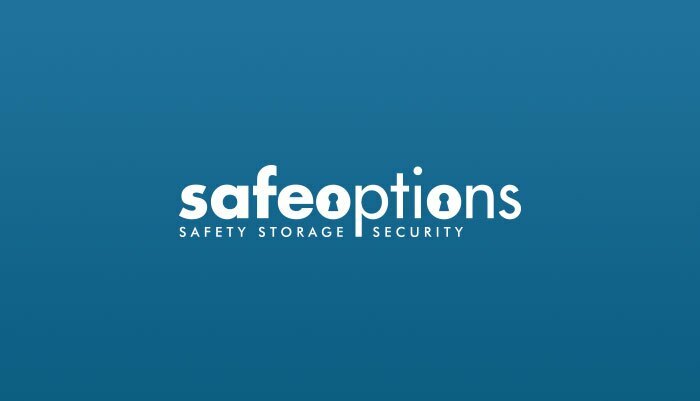 Key Safes are commonly used in locations where carers, home helps and others can gain access to the home, without the need for the door to be left unlocked, which would otherwise create a security risk. Domestically, Outdoor key safes offer a convenient and reasonably secure means of leaving a spare key for use by members of the family, thus avoiding the need for too many keys in circulation and the inherent risk of losing them. The Phoenix KS003C can store around 4-6 Yale keys without fobs. how many digits can the code be? As this is mechanical, each digit can only be used once within your code. However, you can use as many digits as you wish. For security reasons, we would recommend not using all the digits and not using just one or two digits. Therefore we would suggest using 4-6 digits.